A few years back, when WikiLeaks was releasing information regarding the misdeeds of high-ranking Republican officials, they were the media's darling. Now that the tables have turned to the Democrats, Big Media is on the attack. This tells The Cyberculturalist a few things -- most notably that WikiLeaks is doing something right. 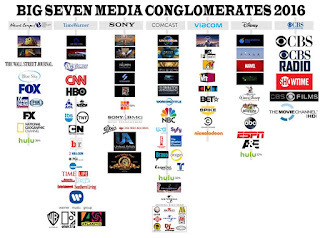 Over the last several years, media outlets have been combined under fewer than eight corporations (some sources suggest six, others say seven, still others report even fewer). 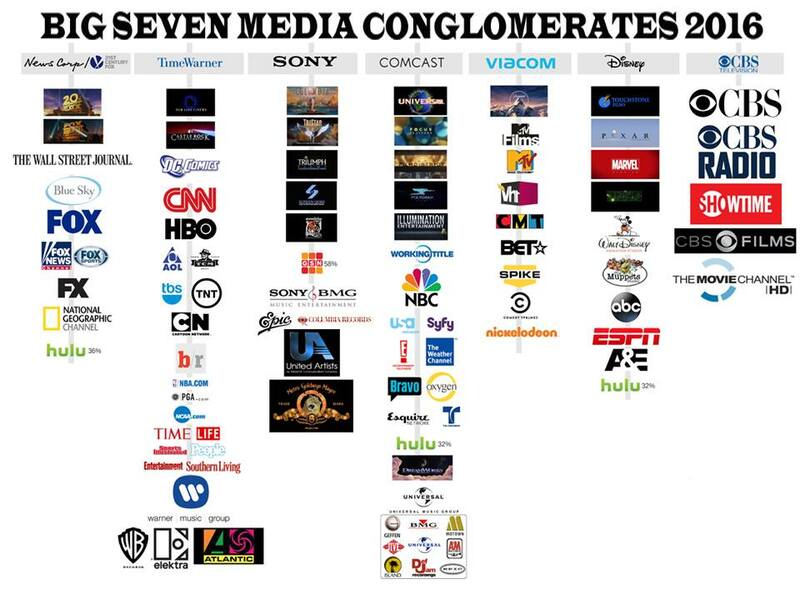 If AT&T buys Time-Warner, this consolidation of the American media will become even more concentrated. We don't have to hearken all the way back to the Smedley Butler Affair to know that corporations are heavily involved in politics, nor do we need to remind anyone that what passes for "news" in America is rarely the truth. These days, however, the direct connections between politics, corporations, and the media are more intertwined than ever. Chris Cuomo of CNN recently came under fire when he told viewers that reading WikiLeaks was illegal (it is not). He is the brother of New York State Governor, Andrew Cuomo. CNN's chief Washington correspondent and Vice-President is Virginia Moseley, who is married to Thomas Nides -- former United States Deputy Secretary of State for Management and Resources under Obama, formerly of Fannie May, who now works for Morgan Stanley, and was expected to take a high-ranking position in Hillary Clinton's campaign. CBS News President, David Rhodes, is brother to Ben Rhodes, the Obama administration's Assistant to the President and Deputy National Security Advisor for Strategic Communications and Speechwriting. Former ABC President and current Co-Chairman of Disney Media Networks, Ben Sherwood, is brother to Elizabeth Sherwood, whose political contributions to both the Obama and Clinton administrations are so numerous that it's easier just to link to her Wikipedia profile. These intimate ties between the Press and politics is only scratching the surface, but this is not exactly a new revelation, so it might not even be worth mentioning until you consider how far backward Big Media has bent to cover-up Hillary Clinton's innumerable scandals -- and how far they have gone to discredit WikiLeaks in light of recent events. This has extended even to online venues, including social media. Google's own Eric Schmidt recently took a job with the Pentagon, and Facebook's Mark Zuckerberg can be found in the new WikiLeaks e-mails, asking to discuss politics with Hillary Clinton. Worse yet, one of Benjamin Netanyahu's top advisers was placed in charge of communications at Facebook, then promptly deleted Palestinian journalists' accounts, and suspended Palestinian news outlets. Accounts have been suspended and deleted, and professional terrorists have been hired to target and gangstalk anyone who dares speak out on these issues -- including negatively discussing Hillary Clinton's campaign and tactics. As if all this weren't bad enough, Yahoo! was revealed to have colluded with US Intelligence operatives to spy on customers' e-mail, and Facebook and Twitter were found to have been surreptitiously providing police with information on social activists (only Twitter has cut ties with the companies that did this). For anyone to suggest that any foreign entity is attempting to meddle in the American Presidential Election is simply ridiculous. Failing to find or provide any proof of such a thing, the attacks have since turned to Julian Assange, whose Internet was shut-off a week ago and no one has heard from since, and now the WikiLeaks organization itself -- as well as all journalistic efforts to expose the wrongdoings of these criminals' efforts to disenfranchise American citizens of our rights. To suggest that anyone other than the organizations that have continuously fed the American public lies and misinformation, spied on private citizens, and have direct ties to top political aides, is trying to undermine the public is not just ludicrous, it's proof-positive that WikiLeaks is doing their job honestly.